The wait is over! After a long winter, baseball season is finally here! 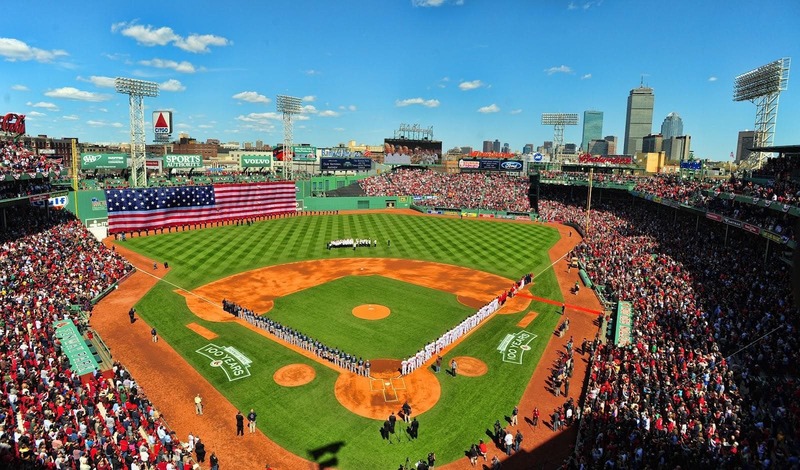 I can’t think of a better way to celebrate America’s pastime than spending a day at the ballgame at the greatest ball park in the country, Fenway Park. Here at The Lenox, we are perfectly situated for the full baseball experience. The day begins without even stepping beyond our walls at Solas, our Irish pub. Start off with a perfect pint, a plate of wings, and pregame coverage and you’re on your way to a great day! Getting to the park is easy! Taxi? They are readily available, just ask our doorman. Want to take a ride in a Boston Pedi-cab? Chat with the concierge and we will call one for you. Feel like a walk? Perfect! It’s just a short 20 minute stroll down Boylston Street. Along the way you come across a host of other pubs and sport bars, keep an eye out for McGreevy’s on Boylston Street (they’re owned by the Dropkick Murphy’s). A slight right onto Ipswich Street will lead you right to the back of the park. On game day the streets around Fenway close down and remind me of a carnival atmosphere. Programs, pennants, t-shirts, hot dogs, and the highly coveted sausage from The Best Sausage Co. on Yawkey Way is a must! If you get there early enough, swing by one of my favorite hidden bars in the area, Bleacher Bar. Sit back, relax, and enjoy the view looking out directly on the immaculately cared for outfield as you enjoy a pint under the bleachers. When you’re ready to head to your seats, an entrance to the park is right next to the bar. Now that you’re inside, get your pipes ready to sing along to Sweet Caroline, Take me out to the Ballgame, and ‘root root root’ for the Red Sox! Play ball!